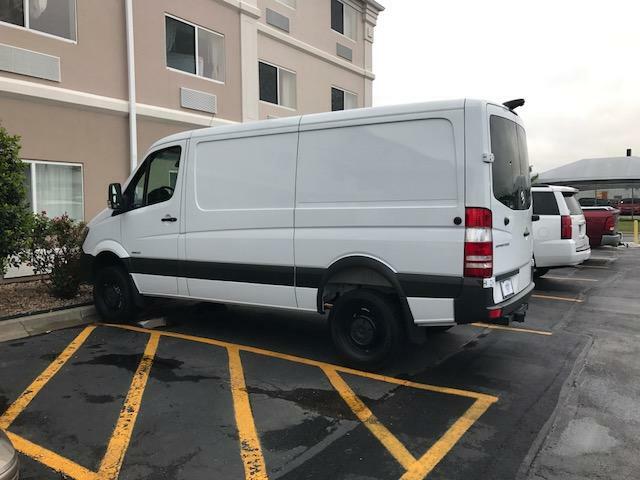 History bought new from sprinter dave in Austin, TX. Line X- black coating. Rockers, fender flares, front grill, front bumper, emblem on rear doors, rear wheel wells. 200 W Renogy eclipse solar system with 20A MPPT controller, arctic canvas insulation, dual capacity interstate AGM battery.